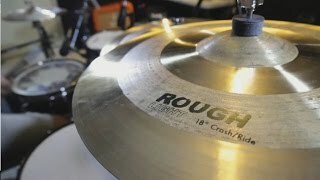 The Rough Light Series combines the brilliance of a classic lathed cymbal with the dryness of the raw, rough, unlathed finish to provide a wide range of sonic textures. Being a thin cymbal, these are washy but without the overbearing overtones. Great for jazz.